The audio-visual Oral History Project examines the history & culture of the 1960s. These interviews offer personal insights into the life, death and legacy of President John F. Kennedy. Oral histories are stories and personal memories. 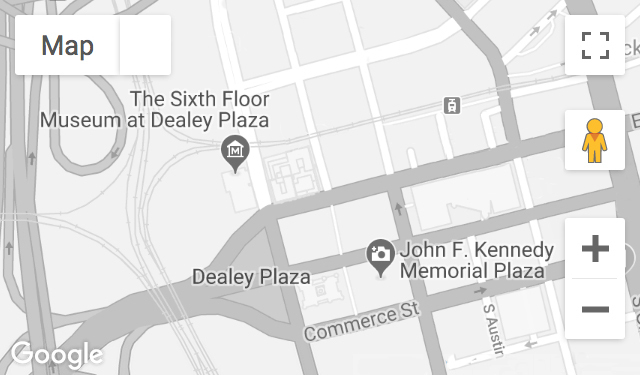 The Museum actively collects oral histories about the life, death and legacy of President Kennedy, the culture of the 1960s and the history of Dallas. All oral histories are recorded and archived for preservation in the permanent collection. Where have the oral histories been seen or heard? The Oral History Collection has been featured on C-SPAN Radio and Television, National Public Radio, and on local television networks, including WFAA-TV Dallas/Fort Worth. The collection has been included in several documentaries, including Image of an Assassination: A New Look at the Zapruder Film, JFK: The Dallas Tapes, JFK: The Torch Is Passed, and in The Dallas Morning News Belo Interactive 2002 CD-ROM JFK: The Story Behind the Story. The collection is featured in numerous publications, including “Brothers: The Hidden History of the Kennedy Years” by David Talbot; the Newseum publication “The President Has Been Shot”; American History magazine (December 2003); the Dallas Morning News; Associated Press stories; and in several national and international newspapers. Does the Museum offer other firsthand accounts besides the Oral History Collection? The Museum’s collection of newspapers, photographs, books and magazines, video and audiotapes, news film and other documentary materials offers many firsthand accounts of the events of November 22, 1963. How do I schedule an Oral History interview to share my story? If you or a family member wish to share your vivid memories of President Kennedy and the assassination or reflections of significant events and social movements of the 1960s, please email OralHistory@jfk.org. Interviews may be recorded by appointment at the Museum or Dallas-Fort Worth locations or by telephone for participants who live outside of North Texas. Are oral histories available for licensing? Most of the interviews in the Oral History Collection are available for licensing, though a few interviewees have placed restrictions on the use of their interviews. Are the oral histories for sale? Interviews in the Oral History Collection are for research purposes only and are not for sale. They may be accessed by appointment in the Museum’s Reading Room. To schedule an appointment, fill out our Reading Room Appointment Request Form.